Authorities will need to conduct toxicology tests, expected to take weeks, to determine what killed celebrity disc jockey DJ AM, a medical examiner's office spokeswoman said Saturday. An autopsy Saturday of the 36-year-old was inconclusive, said the spokeswoman, Ellen Borakove. A law enforcement official told The Associated Press that police found a crack pipe and prescription pills in the apartment where they discovered DJ AM's body Friday evening. The official spoke to The Associated Press on condition of anonymity because the investigation was ongoing. 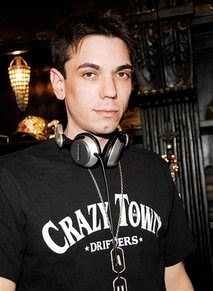 DJ AM, whose real name was Adam Goldstein, had openly discussed past addictions to crack cocaine, Ecstasy and other drugs. In October, MTV was to debut his reality show, Gone Too Far, in which he and concerned families staged interventions for drug abusers. MTV hasn't said whether Goldstein's show will air. See the whole story here and Dr. Drew's take on this here. UPDATE: More autopsy information has become available, stating that six pills were found in DJ AM's stomach and one pill in his throat, which appeared to be the powerful painkiller OxyContin according to a New York City official.